What is the Downtown Congregation? With a bold mission like that, something like a downtown congregation makes perfect sense. The reality is that we have a style that is very intriguing to many and ways of doing things that you don’t run into very much in the evangelical church. Our beliefs are overall quite orthodox, it is just that our practices aren’t. This approach has led us to be highly effective with two of the least likely demographic groups to darken a church’s doorstep, essentially, college-aged men and women. With a church with just under one thousand involved, that is working nicely. The down-side of that is that if you aren’t in that demographic you can feel really out of place. So, often times, graduate students and local community members, married or not, with children or without, often feel they must choose. Between an approach to following God they really connect with and feeling like they can also connect with people encountering the life challenges and blessings that they are. Making great decisions in your workplace, or figuring out what in the world you will do once your dissertation is finished (six months past your original date). Growing as a husband or wife or being single in a culture that makes that hard beyond a certain age; without feeling like you have been left behind. Being a real and honest parent to your kids. Feeling honored as a stay at home mom. At [nlcf] we believe that the focus of our gathering communally should be on God and not us. Yet we also want to make sure that it is the connecting with one another, loving those inside and outside the church and implementing what we are learning that should be the main point. The same reason we use contemporary translations of the Bible leads us to birth a new congregation within [nlcf] that is distinct in its focus on those who are a bit older, but still consistent within [nlcf]’s mission and strategy, where we remove extraneous distractors so that our focus can be on living the mission we feel God has given us. Our desire is to always be growing and planting new churches like the one we started in Los Angeles and the one we are starting in Richmond VA as we speak. But we also desire to, where it makes sense, reproduce congregations within [nlcf] to allow us to connect with and develop even more people. The downtown congregation, as we are calling it, will take the same approach to meeting people’s needs and challenging their lives that [nlcf] always has. But with a different group that is being primarily focused on, sometimes the outcome will be different.  In light of that, [nlcf] � older makes a lot of sense.